Ducks boogie along on a lake around two rock formations. 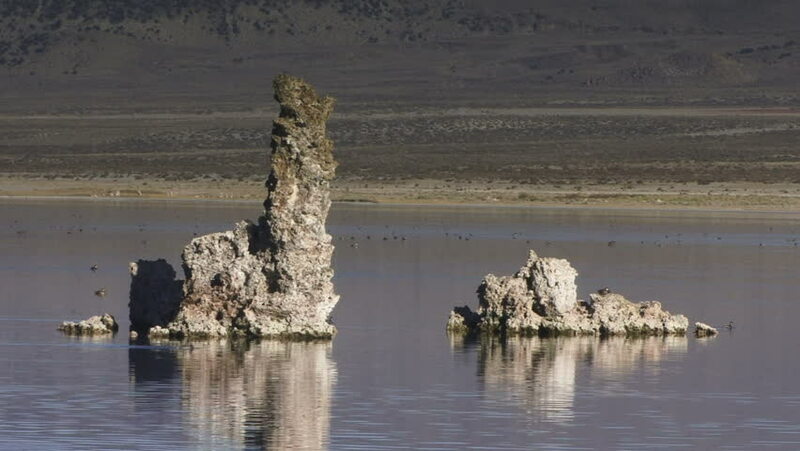 hd00:25Mono Lake 007: A strange landscape of Tufa columns at Mono Lake, California. 4k00:28Aerial drone footage of the famous beach city Cadiz in the South of Spain with the famous beach Playa La Caleta on a sunny day. hd00:18Tourist sight seeing boat on the mediterranean sea near the steep coast and riffs of Antalya, Turkey.